Mahindra and Mahindra is one of the major automobile brands in South Africa. 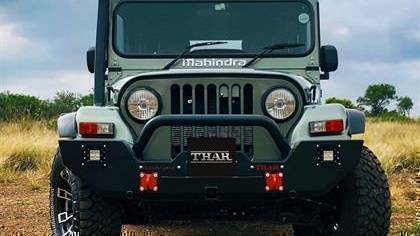 The company recently launched a more off-road prepped version of the Thar called the Adventure Series and has priced it at R293 999. 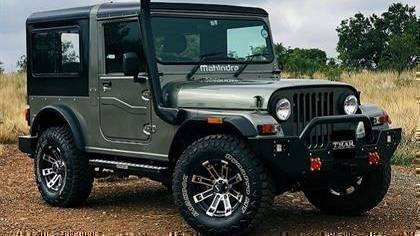 The equipment list of the Mahindra Thar Adventure series consists of dedicated off-road bumpers, special alloy wheels with Hankook Dynapro AT Tyres, a snorkel and also a hard steel canopy. The metal bumpers have been sourced from Bundu Gear which further helps Thar's 44-degree approach angle. The SUV also gets a high-lift jack mounting pointings and a bash bar to protect the grille. Additionally, the front bumper comes with LED lights and a mount to fix a removable winch. The rear bumper too gets coloured recovery hooks along with a tow bar integrated in the bumper. The hard steel canopy has been developed by Getec. This roof has a removable design. Mahindra also offers the canvas roof as an optional accessory. Powering the Mahindra Thar Adventure Series is the same engine that's offered in the 2.5 CRDe 4x4 SE configuration in South Africa. This unit makes 100PS and generates 247Nm of torque. This makes it identical to the Mahindra Thar sold in the Indian market. Do you think an off-road special version of Mahindra Thar should be introduced in India? Let us know in the comments section below.